The 1977 Women's European Volleyball Championship was the tenth edition of the event, organised by Europe's governing volleyball body, the Confédération Européenne de Volleyball. 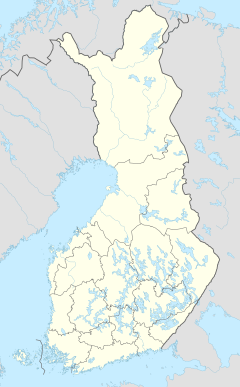 It was hosted in several cities in Finland from 25 September to 2 October 1977, with the final round held in Tampere. The tournament was played in two different stages. In the first stage, the twelve participants were divided in two groups of six teams each. A single round-robin format was played within each group to determine the teams group position. The second stage of the tournament consisted of three sets of semifinals to determine the tournament final ranking. The group stage firsts and seconds played the semifinals for 1st to 4th place, group stage thirds and fourths played the 5th to 8th place semifinals and group stage fifths and sixths played the 9th to 12th semifinals. The pairing of the semifinals was made so teams played against the opposite group teams which finished in a different position (1st played against 2nd, 3rd played against 4th and 5th played against 6th). Pools A and B fifth and sixth positions play each other. Pools A and B third and fourth positions play each other. Pools A and B first and second positions play each other. ^ "1976/1977 Senior European Championships Women". CEV. Retrieved 11 April 2017.